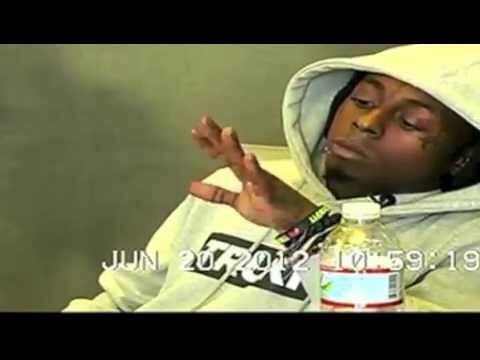 A friend told me about this video the other night —Lil Wayne’s deposition. Sitting in a courtroom and answering questions in regards to the lawsuit the rapper had filed against Quincy Jones III, son of producer Quincy Jones, over the documentary Jones made about Lil Wayne’s life entitled “The Carter.” According to Lil Wayne, Jones III had used his music in the film without permission and Wayne is further seeking compensation. The funnier part is that it was reported that Lil Wayne knew about the film as it was underway and had participated in its making, but then decided to change his mind, calling it a “scandalous Portrayal” of his life. I only wish they actually showed the guys asking the questions, because their facial expressions might have been as funny as Wayne’s.